More and more people are asking if the FDA will delay the January 1, 2015 requirements of the Drug Supply Chain Security Act (DSCSA). On that day, drug manufacturers, repackagers and wholesale distributors must begin exchanging Transaction Information (TI), Transaction History (TH) and Transaction Statements (TS), (dispensers join them next July) and the FDA is not even due to publish guidance on how to do that until November 27 (see “The Flaw That Must Be Addressed in H.R. 3204, The Drug Quality and Security Act“). While they have said they hope to publish that guidance earlier than that date, it still won’t give companies much time to prepare. So, will they delay it? In fact, the FDA cannot delay the effective date because it is codified in law…the DSCSA law. Only Congress can change the law. So will Congress delay the date? Will Congress do anything between now and then, let alone change a law they enacted less than a year ago? No. The dates will not change. But do you feel lucky? But I understand the FDA can engage in something called “enforcement discretion” if they feel that it would be particularly unfair to enforce one of their regulations in a given instance. I don’t have any personal experience with FDA enforcement discretion, and I can’t even cite any instances from the past where they took that path, but I recall that the concept was mentioned at the FDA DSCSA Workshop back in May (see “The 2014 FDA DSCSA Workshop”). I don’t recall if it was the FDA who mentioned the term or one of the attendees. Even if it was the FDA, you can’t be certain whether or not they will make use of the concept in this situation. 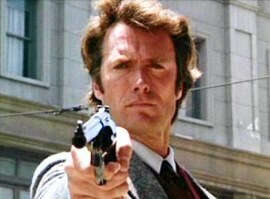 What I am saying is, don’t count on it…unless you feel lucky. In fact, if I were in charge of determining when, and when not, to apply something like enforcement discretion, I would use it only in instances where an offending company or person clearly made a serious attempt to be ready before the deadline, but simply fell short on time. In that type of instance, the offender would at least partly meet the deadline, but perhaps not for all of their products or transactions. But they would be well on their way to meeting the requirements on the day of the deadline and would therefore be fully in compliance shortly after that date. For those that wait until the deadline before they begin feeble preparations to comply…or worse, those who wait to begin preparations until the day the FDA walks in and asks for their transaction data for a particular drug/shipment, I would through the book at them. No mercy. But that’s just me. Who knows how—or if—the FDA will make use of enforcement discretion. But do you feel lucky? But, keep in mind, the DSCSA is not the California pedigree law. If the California law has gone into effect—which it won’t, because it was preempted by the DSCSA (see “Preemption: What Does It Mean?”)—it would have allowed an inspector from the Board of Pharmacy to enter any pharmacy or wholesale distributor warehouse, pick up a random bottle of drugs and ask to see the pedigree for this specific bottle. That could have happened at any time and any place and any bottle, just to see if you were in compliance with California law. That is not what the DSCSA is for and I don’t think it gives any agency the right to ask to see the TI, TH and TS for random drugs sitting on a shelf or in a shipment—unless something triggers suspicion first (see “The FDA’s Draft Guidance on Suspect Product, and Farewell Columbus”). Of course, if a state board of pharmacy or FDA Office of Criminal Investigation (OCI) or the U.S. Justice Department is conducting an investigation into a potential crime that involves pharmaceuticals, you can bet that will be enough suspicion necessary to trigger that type of request. “Here’s my search warrant, now show me the TI, TH and TS for this bottle/case/pallet/shipment of drugs sitting here”. You’d better be able to comply within the timeframe allowed by law. It probably does not even require a search warrant (but I’m not a lawyer so I don’t know about such things). Do you feel lucky? And the problem is, no one can know exactly which drugs or transactions will fall under someone’s suspicion in the future. The drugs may not even be in your possession any more when they fall under suspicion and you could still be asked to provide the investigator a copy of your TI, TH and TS to aid in the investigation. And that obligation lasts for six years after your last transaction with each drug package (see “DSCSA: A Closer Look At The Six-Year Record-Keeping Requirement”). Will the FDA Delay the DSCSA? No. Will someone show up on January 2nd asking to see your TI, TH and TS to prove you are complying? Probably not. So now you’ve got to ask yourself one question. Do you feel lucky? If you don’t feel lucky and you need help figuring out how to meet the regulations, let me know, or, pick up a copy of my book, “The Drug Supply Chain Security Act Explained”, by Dirk Rodgers. Previous PostEverything You Need To Know About UDI In One Neat PackageNext PostShould You Off-Load Your DSCSA Obligations To Your Contract Partners?